More than 12 years of experience in selling online games - BEST PRICE AND QUALITY !!! 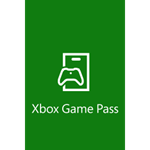 LICENSE KEY FROM Xbox Game Pass 30 Days DISPLAYED IN THE BROWSER WINDOW AND COMES TO YOUR E-MAIL ADDRESS AUTOMATICALLY AFTER PAYMENT !!! Turn on the automatic renewal and get a 1 MONTH of Xbox Game Pass FREE. Microsoft is solely responsible for this promotion. These codes can not be used to renew or pay for an already existing Xbox Game Pass subscription. Thus these codes are for new customers only. With Xbox Game Pass, you will always have something to play. Find and download games that you have long wanted to play, including the legendary old editions in the highest quality, with no problems with streaming or connection. Enjoy the games of all genres, such as action movies and adventures, as well as family games, hard shooters and sports simulators. Do you like the game for Xbox One, which is in the catalog, and you want to purchase it? Buy it and save 20%, and get an additional 10% discount on any addition to the Xbox One game in the catalog. 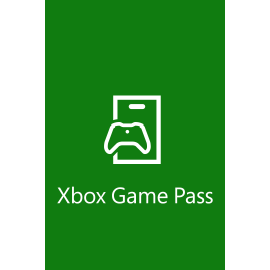 Xbox Game Pass - is access to the directory, in which every month new games are added. 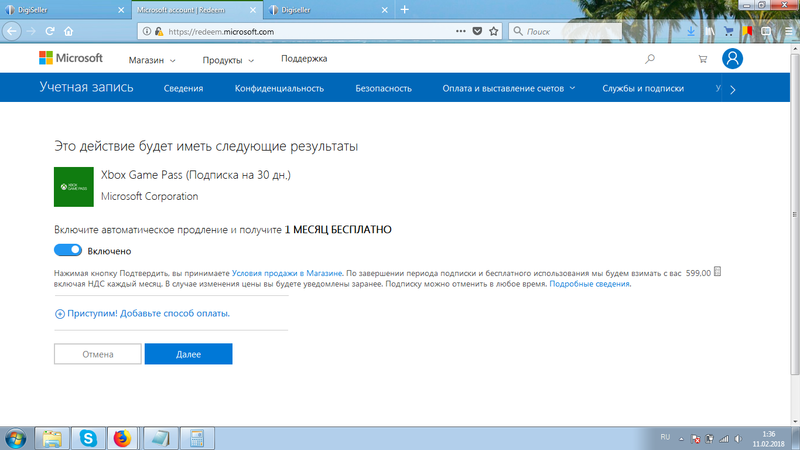 - On the next page, click "Redeem"
- Click "Confirm" again to assign the key to your account. Please leave us positive feedback. Самое главное быстро и без заморочек, код пришел сразу после оплаты, кстати наверное по цене меньше не найти!!! Большое спасибо за полностью рабочий код! Все отлично! Спасибо большое за товар, все быстро доступно и понятно.